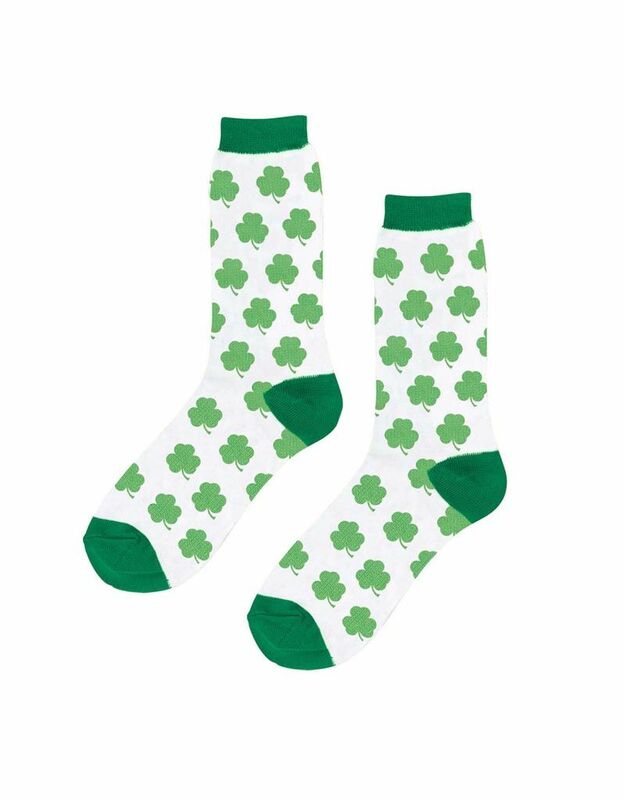 These shamrock crew socks are perfect for Saint Patty’s Day. 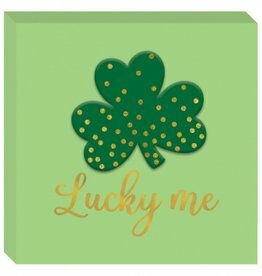 Display the luck of the Irish with this novelty shamrock decor! Measures 6.5 x 6.5 inches. 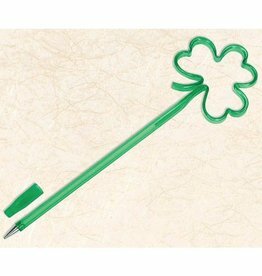 Write in style with this novelty shamrock pen. 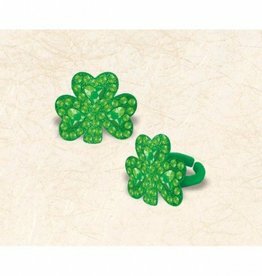 Add a little shamrock sparkle to your St. Patrick’s celebration with a novelty ring or two! Measures approx. 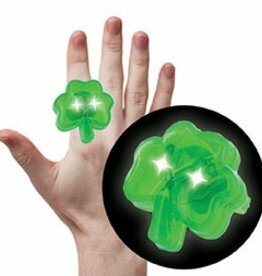 1 1/4" x 1 2/5"
Super Bright Flashing LED Lights! 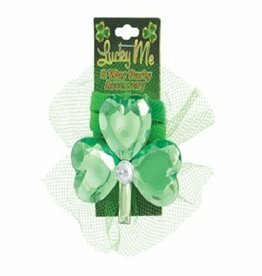 Measures approximately 1.5 inches wide by 1.75 inches long. 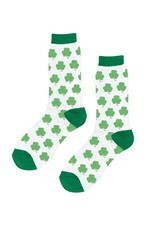 Great for St. Patrick's Day and all year round! Can be worn as a headband, ponytail, choker, arm band, bracelet, garter, anklet, or shoe glam. 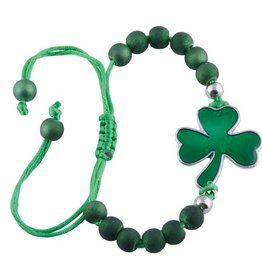 Slipknot bracelet with green beads and silver-finished shamrock emblem. 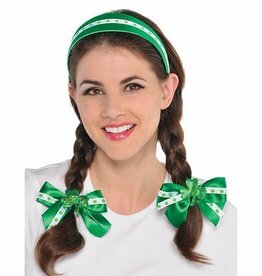 One shamrockin' style–slide with pride!